Before Bruce Wayne became the Batman, cleaning up the crime-ridden streets of Gotham was left to Detectives James Gordon and his partner, Harvey Bullock. Find justice amid Gotham's corruption with Pop! Vinyl Figures based on Fox's hit show. 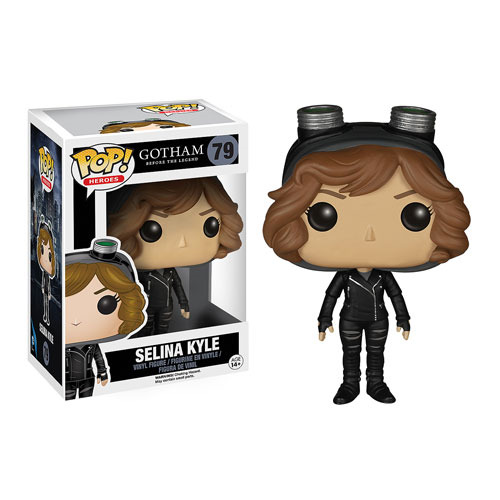 The Gotham Selina Kyle Pop! Vinyl Figure measures approximately 3 3/4-inches tall and captures the young Catwoman complete with her goggles. Ages 14 and up.